Up until mid 2015 the future of Tchai-Ovna was in the balance due to a costly dispute over access and ownership with a neighbouring developer. This was the result of years of struggle against a building development which would have damaged the businesses which thrive on Otago Lane, its historic character the area, and destroyed the Kelvin river wild life corridor (see www.saveotagolane.com). The Otago Lane community, spearheaded by Tchai-Ovna and thanks to the tea shop’s large following, managed to get the development shelved. The success, however, came at a cost; Tchai-Ovna became prone to attack from the developer’s team. Inksters represented Tchai-Ovna and the interests of the community, committing to a certain amount of work pro-bono. Tchai-Ovna has survived and can plan for the future, now owning its own premises. Without the help of Inksters it would have been difficult to contemplate Tchai-Ovna continuing into the future. In return, we have happily agreed to creating Inksters Select Tea, a project that represents Inksters’ continuing commitment to the community. The aim of Inksters Select Tea is to introduce high quality, rare and exclusive teas to its clients and to Tchai-Ovna’s customers. These are specially selected by co-owner and founder Martin Fell; who has almost two decades of experience in the industry. 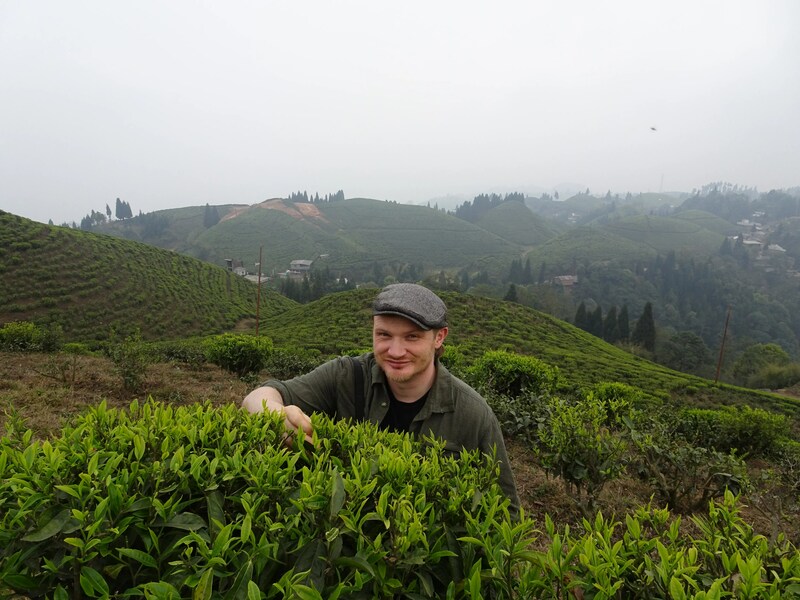 Launched at Christmas 2015 with an exclusive high grade Chinese oolong, Gui Hua, Martin has recently returned back from a tea excursion to Darjeeling with some tasty discoveries of fantastic high grown Indian tea originating from the border with Nepal. All profits from this collaboration will be donated to charities for displaced people in Europe. If you are interested in purchasing one of the last 100g of our exclusive batch of Gui Hua osmanthus scented oolong or would like more information regarding Inksters Select Tea please contact shop@tchaiovna.com.